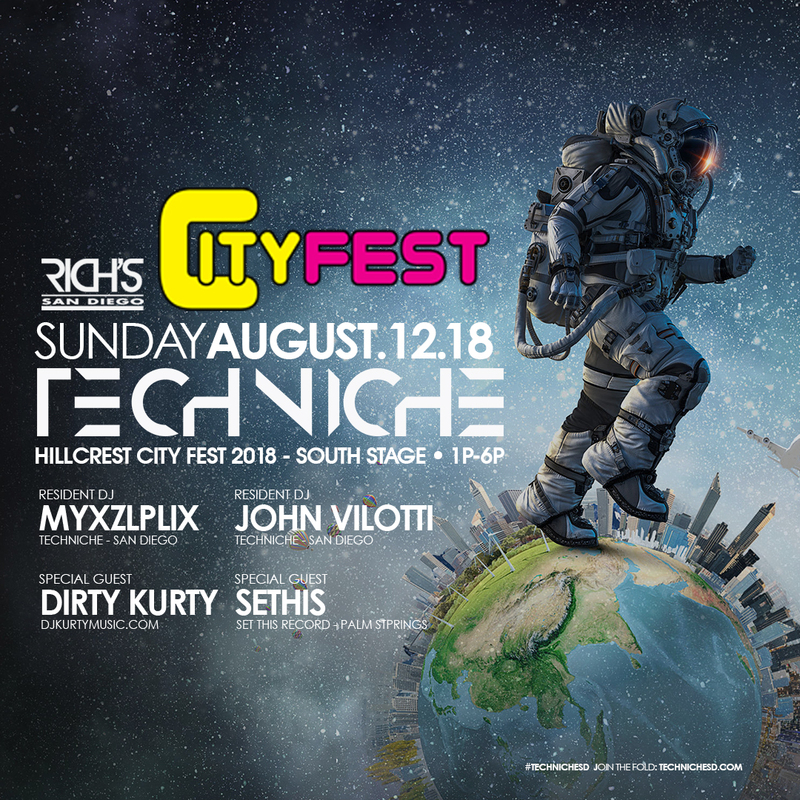 Techniche returns to the sun, sights and sounds of Hillcrest City Fest for it’s 3rd appearance on the south side stage. Featuring Tech-House & Techno from DJs Myxzlplix, John Vilotti, Dirty Kurty, Sethis from 1-6pm. Look for the Techniche tent and join us in celebrating this spectacular annual event presented by Rich’s San Diego!